This past weekend, George Zimmerman was found not guilty of the February 26, 2012 murder of Trayvon Martin. It’s hard to see the proceedings as anything but farcical. Zimmerman faced no charges until six weeks after the shooting. The Court didn’t officially invoke “Stand Your Ground” in trying Zimmerman, yet the principles were an integral part of the proceedings and verdict. The jury ignored the racial profiling issue while deliberating, yet at least one juror seems to have discarded testimony because of her own preconceptions about the prosecution’s star witness. Lost in the public storm of indignation from one side, vindication from the other, and racial tension all around is the simple fact that a man killed a seventeen-year-old kid, and it was legal. The American justice system, at least in theory, deems individuals innocent until proven guilty. The burden of proof lies with the state. If you take a life, however, the burden for proving self-defense is on you. That makes sense. You killed someone, so we need a really good reason if we’re going to let you go. The exception is law enforcement, as those individuals act as state agents trained and authorized to use potentially deadly force. That also makes sense. It’s part of their job to enter situations where their safety and the safety of others is threatened. Florida, and any other state espousing “Stand Your Ground,” extends “innocent until proven guilty” to the confessed killer. And therein lies the central problem. The Court placed the burden of proof on the prosecution. The state prosecutors had to prove beyond a reasonable doubt that Zimmerman committed second degree murder or the lesser included offense of manslaughter – that Zimmerman caused Martin’s death while acting with enmity and/or without regard for human life. All the defense had to do was demonstrate reasonable evidence that he acted in self-defense (or really just call the prosecutors’ narrative into question). Basically, if the jury believed Zimmerman felt threatened by Martin (or if they weren’t clear on what happened), he’d walk. Martin, accused of assaulting Zimmerman, received no such consideration. No one had to prove beyond a reasonable doubt that Martin endangered Zimmerman. As the perpetrator was innocent until proven guilty, the victim, by a perverted yet inevitable logic, became guilty until proven innocent. Zimmerman pled the Fifth so he couldn’t make things worse for himself than he’d already done when he decided to play cop. And unfortunately for justice, juries hear no testimony from the dead. Zimmerman is innocent of murder because he had the right to protect himself. But what about Martin’s rights? Maybe Martin felt threatened and attacked Zimmerman to protect himself. Zimmerman certainly didn’t suffer unprovoked aggression. Stalking after someone while armed with a deadly weapon, although Zimmerman may have felt fear, he sure as hell instilled it. Anyone who’s ever been profiled — racially or otherwise — knows the feelings of helplessness, frustration, anger, and fear that emerge. Yet one man’s fear lay at the heart of deliberations while the other’s fell short of legal legitimacy. 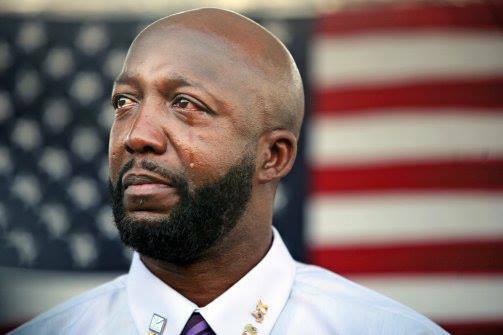 Zimmerman brought a gun to a fistfight and walked away a champion. When the Court acquitted George Zimmerman, it also condemned Trayvon Martin, passing judgment on the eternally seventeen-year-old: if he wasn’t a thug who got what he had coming, then he was an unlucky kid whose life just isn’t worth much. The “not guilty” verdict sets a dangerous example. Taking a life can be little more than a sixteen-and-a-half-month inconvenience. “Stand Your Ground” laws can make it disturbingly easy to get away with murder. Buy a gun (legally, of course), harass a stranger until you feel sufficiently threatened (might help if they’re darker than you), then fire away.